Love In the Name of Christ mobilizes churches to meet the needs of people. So when a Love INC affiliate discovers an unmet need in the community, it finds a way to help churches meet that need. One way that Love INC helps churches help people is through Gap Ministries. 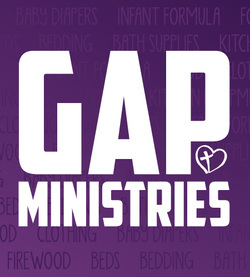 The purpose of a Gap Ministry is to provide a resource or service to meet ongoing needs that are not currently being met by agencies, government, or churches. Love INC helps churches "fill in the gap." Because the Love INC Clearinghouse secures current and relevant information on the unmet needs, Love INC can provide valuable insights on new ways churches can meet those needs and have a deeper impact in the lives of people and the community. Where Can You Bridge the Gap in Your Community?